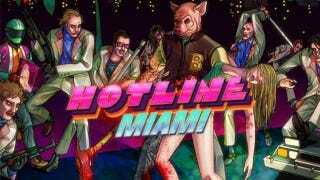 Jonatan Soderstrom, one of the duo behind the fantastic Hotline Miami, should be the last person on Earth giving advice to people pirating his games. So it's weird/nice to see him actually being one of the first. On the game's thread at torrent site The Pirate Bay (and spotted by PC Gamer), Soderstrom has dropped in to address complaints—yes, pirates complain about the product they've stolen—and give advice for people on how to get the game running. I'm Jonatan Soderstrom, me and my friend Dennis Wedin made this game. We're working on an update that hopefully will take care of any/all bugs, and we'll try to do some extra polish in the next few days. Would be great if you could update the torrent when the patch is out! It'd be great if people get to play it without any bugs popping up. Hope everyone will enjoy the game! For the "Error defining an external function." problem, try restarting your system and play again, it can pop up when your computer has been running for a while. We'll try to figure out if there's more to it than that.